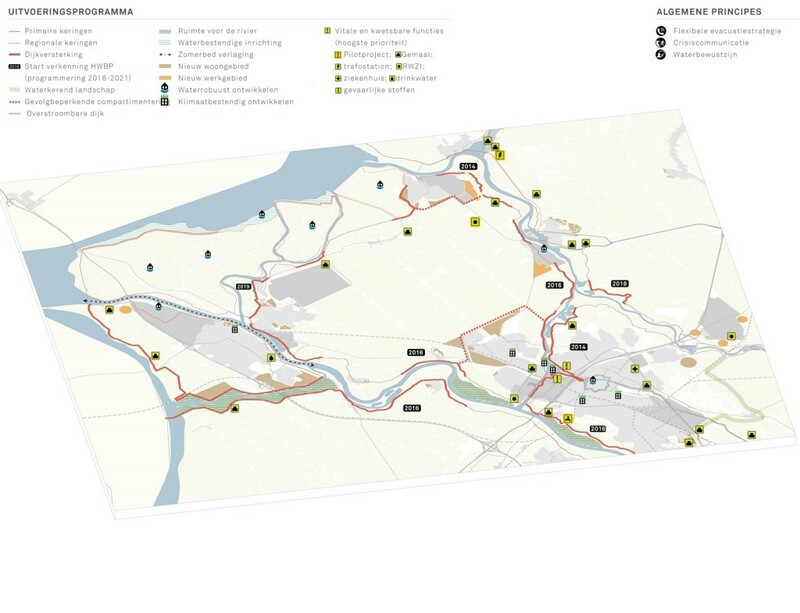 IJssel-Vecht Delta is an economic growth region with an attractive business climate. But it is also a sensitive place in the water system. The area is influenced by both the IJsselmeer and the rivers IJssel, Vecht, Sallandse Weteringen and Zwarte Water. It is located on the border between the higher and lower lying regions of the Netherlands. 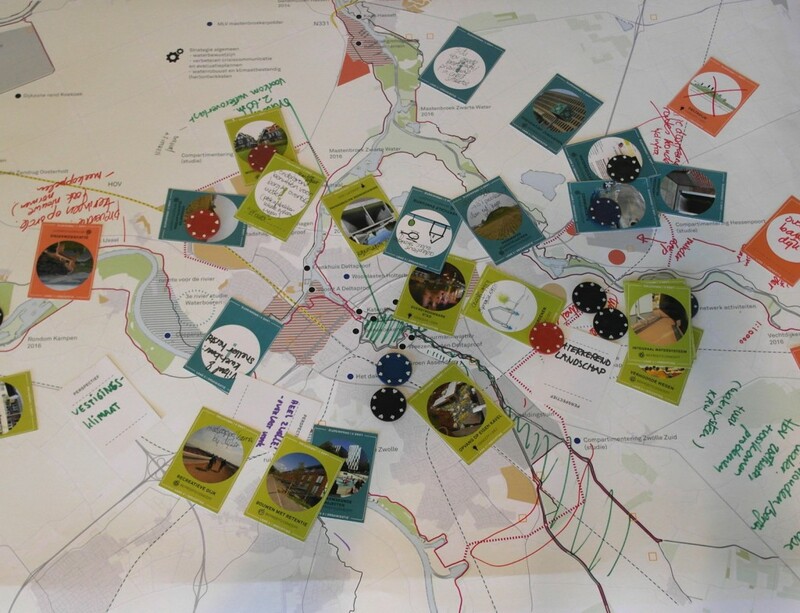 Long-term perspectives were drawn up in 2013 to find out what the challenge is and what directions development could take. A lot has happened since then, and much has been learned from pilot projects and national policy. The aim of the strategy is to make the most of the results, present them in a comprehensible manner, and map out a follow-up strategy. All insights gained have been gathered into a so-called Harvest Document, which provided the basis for the choices that could be made in the successive work studios. Do we opt to strengthen the main water system? 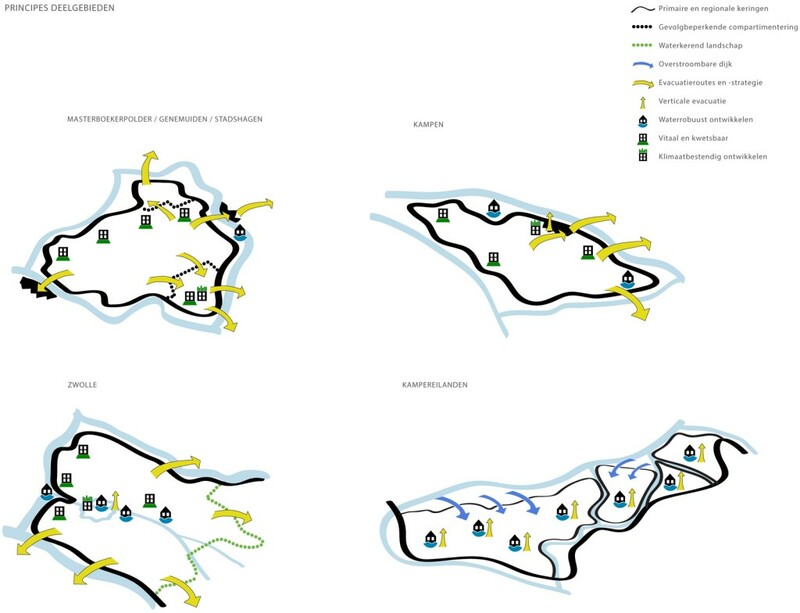 Of preferably to design a water-defence landscape or raised mounds (known as ‘terpen’)? 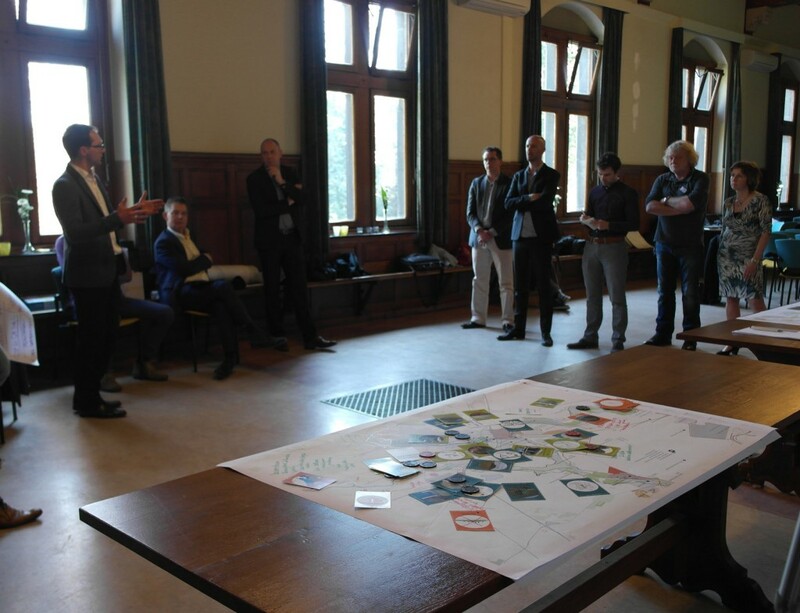 These choices were explored in three large working sessions attended by all official stakeholders and many market parties. In addition, the project considers implementation: because who is going to plant and maintain the greenery in a street profile? 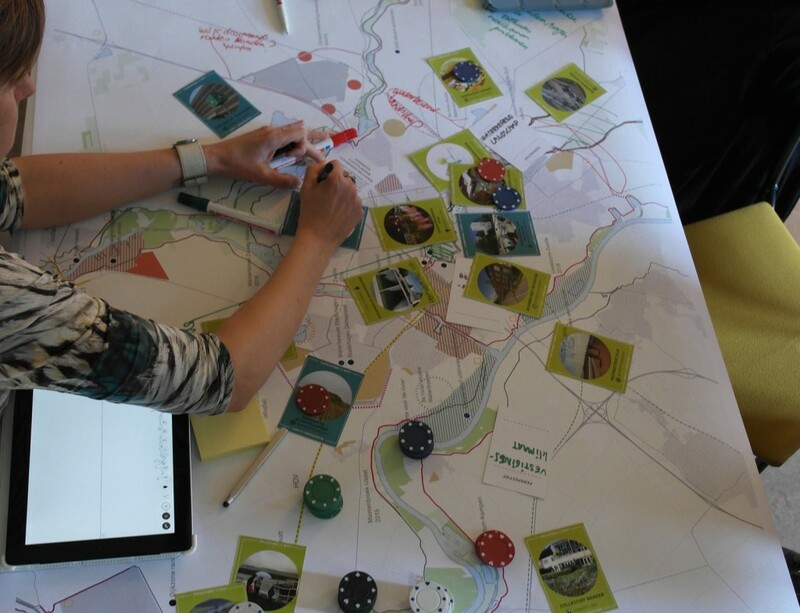 Participants were inspired to search widely for solutions by means of maps of opportunities featuring concrete reference projects from all around the Netherlands. 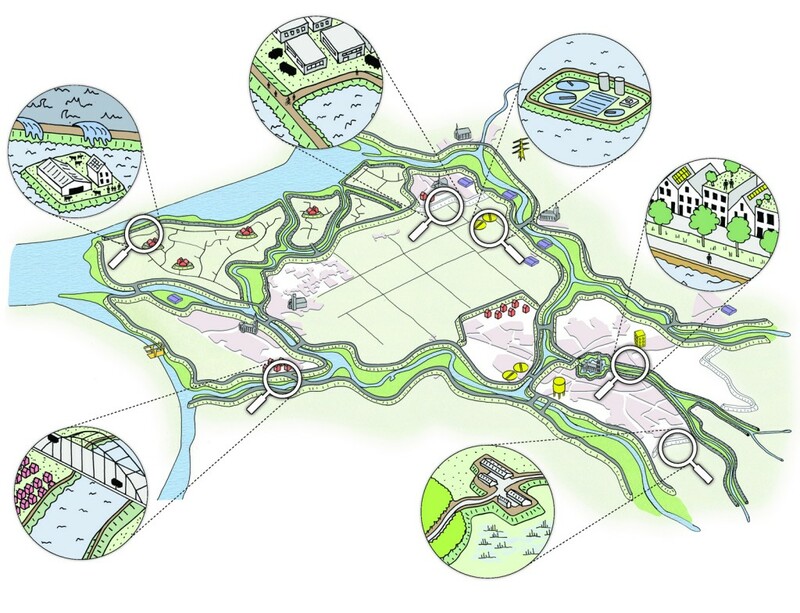 The ‘Water safety and climate resistance strategy in the IJssel-Vecht Delta’ is a compact book that conceals a world of decision-making and policy. The substance of the strategy and the roles and responsibilities of the parties involved have been determined. This is summarized in handsome and clear maps. In addition, a brochure was designed to make it easy for aldermen and others involved to tell the story. This meets one of the most important goals of the project: explaining a complex story simply using words and images.